The Memphis Mafia cronies laughed, but the session men didn’t. They had been looking forward to recording with Neil Diamond that day, but that was bumped in favor of recording with Elvis Presley. The pay would be less and the honor would be dubious, considering the quality of his last dozen or so albums. Producer Chips Moman and his American Sound Studios were chosen for their physical proximity to Elvis’ home in Memphis, but also for a sterling reputation as a soulful spot. This wasn’t a place where junk would get churned out, and as Elvis quickly found out, it’s sparseness and somewhat dated equipment would only lend to the creation of real art. It was a renewed Elvis that walked in that day, fresh from the experience of the Comeback Special and ready to work hard on something worthy. He would find out that he came to the right place. The talented instrumentalists would challenge Elvis, and he would bring his A game until he overcame their indifference. Suspicious Minds would be born from the sessions that followed, as well as In The Ghetto, but the monumental effect of the time spent there was the album From Elvis In Memphis. At an intersection of Country and Rhythm & Blues, a very mature and adult version of Elvis Presley laid down songs of great depth and feel. Much has been made over the years of the fact that Elvis didn’t write any of the songs that he sang, but that rarely stopped him from imbuing them with great passion as he sang them. When possessed of good material, Elvis sang like Robert De Niro acts. 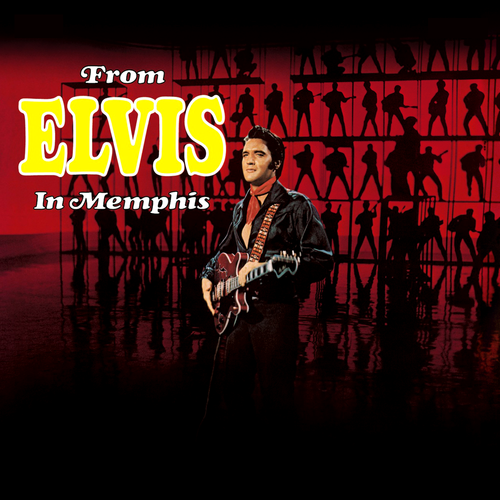 From Elvis In Memphis and it’s follow up, Back In Memphis show Presley at his peak.